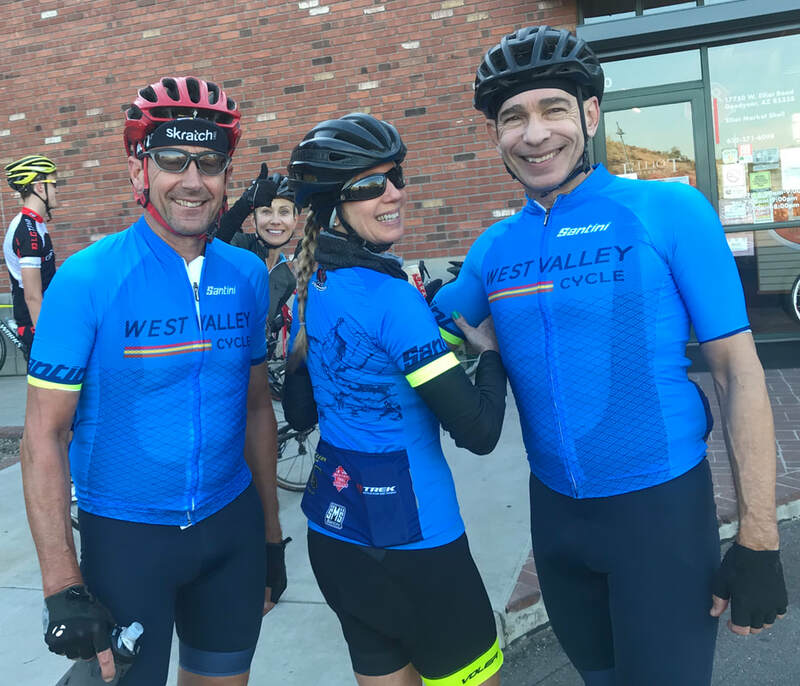 Welcome to WEST VALLEY CYCLE! Our route has open roads, good climbs, two water/store stops, non congested roads, and few traffic lights to contend with. Ave 70 to 140+ riders Every Saturday; groups are formed. Riders from all over the Valley including: AZ Cyclery, TREK Bicycles, REGROUP, Swiss American, Bicycle Haus, TRIBE Multisport, Athlete Octane, Landis Cyclery, Team Fleming, Bicycle Vibe, Exhale Bikes, ASU, Faster Cyclist, Team-Winded. We have a A-Group (ave 21-26mph), mid-tempo B-Group, and a no-drop C-Group. We welcome all new riders. Twice, we re-group: Once in Estrella (Elliot Mrkt ~1hr:15min from the start) and the 2nd in Verrado at Bashes (an ~1hr later). There are 6 sprints points for the A-Group along our ~60mile route. Much thanks to the riders pulling and giving it their all! Our mission is to build fitness, camaraderie, pull for each other, make a new friend, & get in a few laughs between our hammer fest. 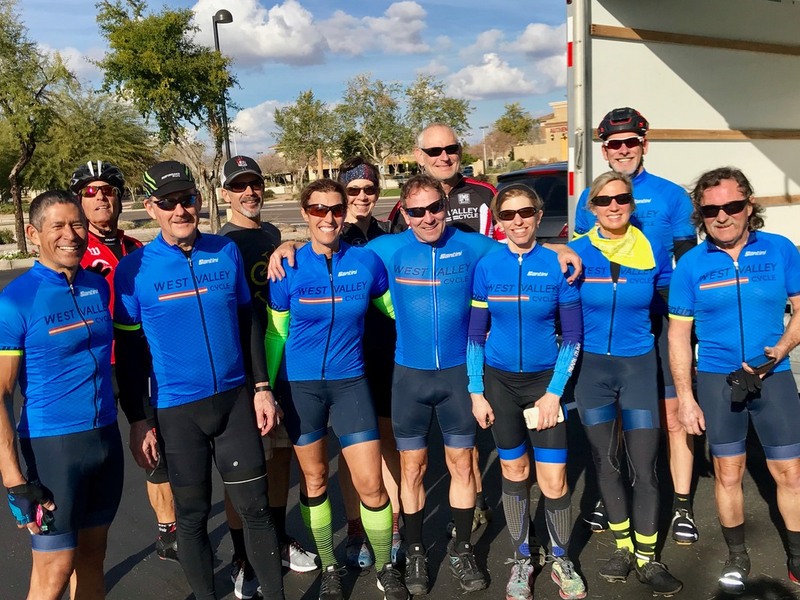 WEST VALLEY CYCLE is a fun, training, group ride! No Permits, No Insurance, No Dues. When: 7:00am SHARP, We Roll! When: See Facebook link for time. Or email Vicki / David. WANT A WEEKDAY RIDE? POST A WEEKDAY RIDE! ..ROADIE TALK, STAY UPDATED! Facebook Fan of "West Valley Cycle"